Bobbin lace is a miniature form of off-loom weaving, making an openwork fabric by looping, interlacing, braiding, or twisting of threads. Bobbins are used to hold the threads being manipulated, and pins inserted into a pillow hold the thread in place on the pattern. Bobbin lace is sometimes called “pillow lace”. 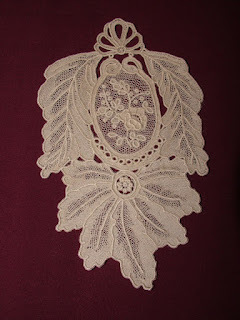 Tatting is a form of lace created by knotting thread using a shuttle or a needle. The thread is knotted to make curved lines (chains) and circles (rings). Small loops called picots embellish the work, and are connectors for the rings and chains. Currently, tatting is experiencing a revival due to its portability, versatility, and the development of new techniques. Lace Knitting is a creative craft, and easy to learn. The laciness is created by deliberately-made holes, formed by increasing, decreasing, and yarn over stitches in the pattern. 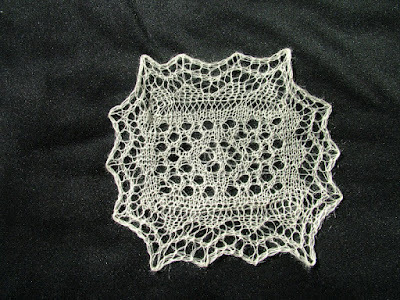 Knitted Lace is usually worked with fine threads or lace-weight yarn and smaller knitting needles, but can be worked with any size yarn or needles. Motifs and cloths are usually round and started in the center with four or five double-pointed needles, then transferred to circular needles when needed. Needlelace dates from at least the fifteenth century. It is created with a needle and thread, the stitches being embroidered on threads which have been couched to a pattern drawn on fabric. Other stitches are added to these, connecting the outlining threads. 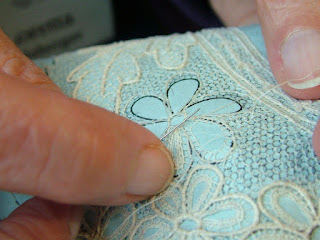 The backing is later cut away, leaving only the lace. 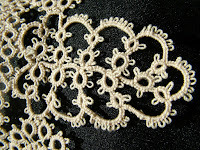 Crochet techniques with very fine thread or yarn are used to create lace. 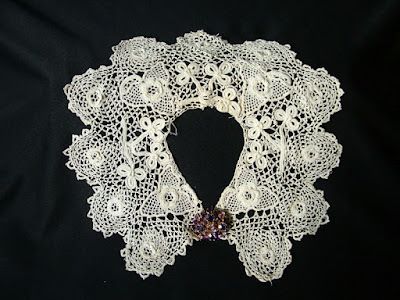 Irish lace is a famous version of crocheted lace, made with fine thread, and composed of motifs of raised flowers and shamrocks, connected by chains which are decorated with picots. 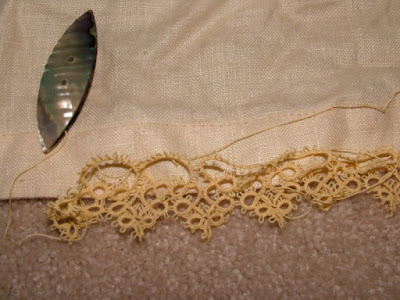 Various other techniques have been used to create lacy textiles around the world, including knotting, hairpin lace, darning on net, embroidery on sheer fabric, hardanger embroidery, and teneriffe (thread wound on a circular loom, and connected with darning stitches).